All our homes have a chef and all meals are made fresh on site. We source all our fresh produce locally from local businesses as we feel we are a part of the community and like to support it. 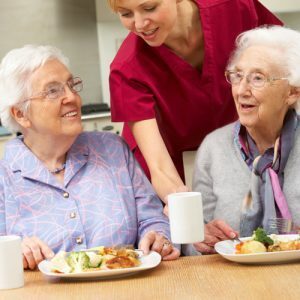 People with specific dietary needs such as vegetarian, halal or even a puree diet due to chewing or swallowing difficulties are also catered for. We have a maintenance team that work between the three homes, they have all gone through the same rigorous vetting process that all our staff go through. They are also trained in adult safeguarding as everyone who works for us is responsible for supporting the people we support. Each home has dedicated cleaning staff that work alongside the support staff to ensure that the homes are always pleasant to be in.